​​Neurofeedback is a noninvasive, supportive modality that teaches an individual to use their brains more optimally. This leads to being more successful in all areas of life: school, work, creative pursuits, relationships, and even peak performance activities such as sports. 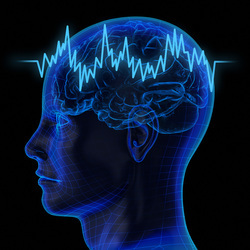 Also known as EEG Biofeedback, it allows an individual to witness and receive information on a real-time basis, resulting in improved regulation of their unique brainwave patterns. With the help of creative and modern technology (video games, audio feedback, and/or alpha-theta training), a series of neurofeedback sessions promote learning, relaxation, greater focus, improved mood regulation, emotional healing, and more. The brain then begins to self-regulate and function better, which leads to a happier and more productive life. Improve academic performance, peak performance, healthy brain aging, memory, concentration, mood regulation, sleep, restless leg, hormonal fluctuations, allergies, anxiety, panic attacks, resiliency, PTSD, depression, ADHD, ADD, chronic pain, migraines, relaxation, overall sense of wellbeing, and more. What symptoms can Neurofeedback help address? What Research is there about Neurofeedback? Improve academic performance, peak performance, healthy brain aging, memory, concentration, mood regulation, sleep, panic attacks, anxiety, PTSD, depression, ADHD, ADD, chronic pain, migraines, relaxation, overall sense of wellbeing, and more.